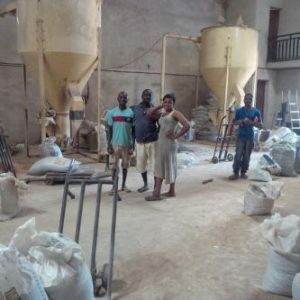 Did You Ever Dream of Making Millions from Poultry, Piggery or Fish Farming Business in Nigeria? You Want Our Experienced Fish Farmers to Train You? so You Want Us to Give You the Insider Secret of all your estimate cost/expenses and your expected profit in the next 6 months, 1, 2 years and more? You Want Us to Help You to Get Good Catfish Fingernails, Post-fingernails or Juveniles, So You Won’t Make Mistake By Choosing the Wrong Ones? That year I was in JSS 2 and I have heard my teachers and everybody around me talking about “Job”, “Job”, “Job”. But to me (even as a small boy in J.S.S 2), it was not making sense. Anyway, I started my first personal business before I was 15 years old. 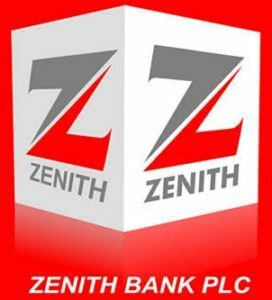 Before I was 19 years old, I had started 4 personal businesses (though small businesses) and at age 19 I bought my first stock in the EcoBank of Nigeria, so I became one of the share holders of the EcoBank of Nigeria at the age 19 (though a very small share). 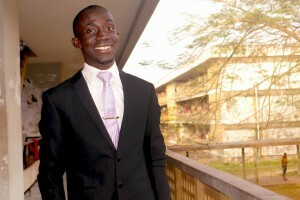 At age 21 when I left school as one of the best Accounting students in my polytechnic, I decided NEVER to collect my certificate from school because I know I would never need it. 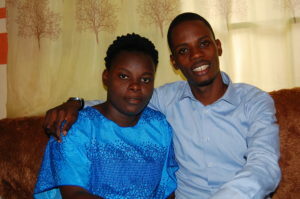 I was offered to work for the Skye Bank of Nigeria (at age 21) but I rejected the offer. Because I hated being an employee! From when I was a boy till today, I have started about 7 businesses of my own. I have passed through HELL and waters in the business world. I have failed and cried many times. I was rejected by family members and many friends thought I was stupid. 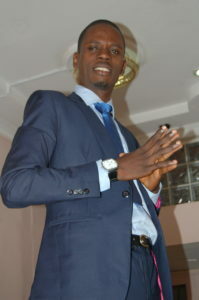 Today, though I am not a millionaire, (by the grace of Jesus) I am living a better life than most people. I have made some good money in my business, than most of my mates earn working for banks. Ok, why am I telling you all this stories? I told you a little of my story so as to encourage you. Though life is very tough, tough people do win the battles of life. 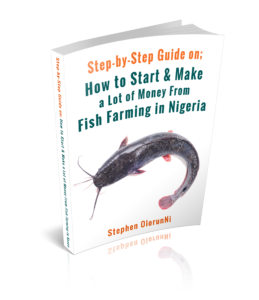 You see, even in this recession (bad economy), if you are willing, you could start your own fish farming business and make it successful. We at the ABC could help you. so that you can choose the one that suits your need, toward achieving your desired fish farming business success. “Teach-me-how-to-do-it” fish farming training programs. We design our do-it-for-me fish farming program to help FEW people, with our experienced fish farmers, to guard you, so you won’t make mistakes in your fish farming business. We act as your friends and as your consultant. We could help you to set-up your fish farming business and leave or help you to set-up and remain by your side, depending on what you want. Second, we’ll reveal the INSIDER SECRETS of the fish business in Nigeria to you by preparing a report (base on what you tell us on phone) that would show you the cost of EVERY single thing you’ll need and the expected profit after 6 months, one year, etc. And to surprise you, we’ll reveal to you the amount you would need to feed your fish from day one till harvest. Then, we’ll train your staff and guard you in whatever other neccessary ways. After setting up your fish business and train your staff (and you, if needed), we could leave or still remain your consultant for the next one year, depending on your choice. If you want, we’ll even help you to register your fish farming business with the Nigeria Government’s corporate affairs commission. The purpose of our do-it-for-me program is to help FEW farmers to proffessionally set-up their fish farming business and stay by their side, till they succeed. We believe after working with you for one year, you must have been able to continue your business without us. Our “do-it-for-me” consultancy program is available for just very FEW people. 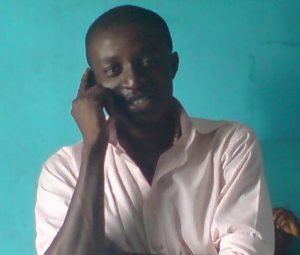 The reason is because we have only 24hrs in a day and there are many people who want us to help them to set up their fish farming business. If you want to know more about our “do-it-for-me” program, kindly call us on; 08137675585 or 09058252288 (from outside Nigeria; +2348137675585 or +2349058252288 ) to see maybe we still have a slot for you. You will see the way things are being done, learn practically on the farm and ask any questions bordering you. 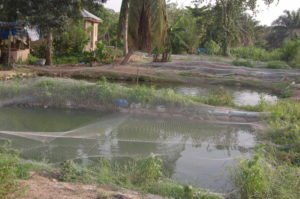 Our trainers will show you how to do fish farming business, in our associate’s farm. 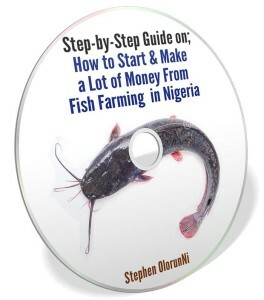 You get our fish farming training video and the book IMMEDIATELY in your e-mail whenever you pay for it. This video and book training could be watched or read with your mobile phone or laptop. 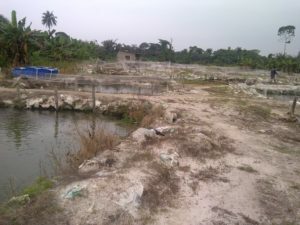 Our Lagos associate fish farm is at Meiran road, off Lagos-Abeokuta road, Lagos state. 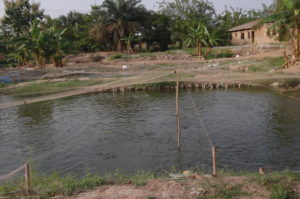 Play the above video to see one of our associates’ fish farms. If you want to know how profitable fish farm business is in Nigeria and you want us to give you the insider secret of your expected cost and profit for the next 2 years or more, call us. If you want to come for our “train-me-how-to-do-it”, one-on-one training program on one of our associates’ fish farms, you can call us too. Our “train-me-how-to-do-it”, practical fish farming training takes place in any of our associates` fish farms in either of the 5 states we listed above. The common lie you have (probably) been told about fish farming business which can make you to fail if you don’t know the truth now. The very first thing you must do (even before you start your fishery farm), if you want to make a lot of money in the fishery business. Best condition for concrete and rubber ponds and the mistakes you must avoid. The biggest mistake most fish farmers make which make them to fail and loose money. Plus, how to avoid it. 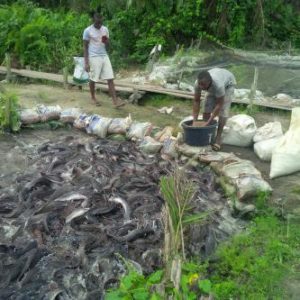 Were you told that fish farming in Nigeria (or elsewhere) is very profitable? So why do 95% of people who start a fish farm fail? This course reveals the secrets most fish farmers don’t know which make them to fail. 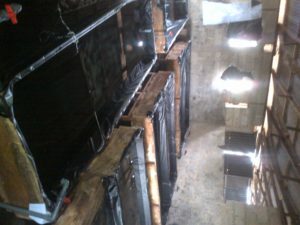 3 secret things which all the successful fish farm owners do, but which they will never tell you. We’ll reveal these secrets inside this course. How to sell your fishes at good profit. One foolish (but common) mistake most people going into fish farming make. 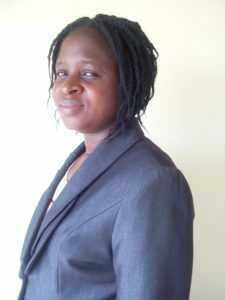 In fact, a man from Imo State called me last two months after he had made this mistake and failed. Get this training to know how to avoid it. Successful fish business has two parts. One part is known by everybody while the other part is a secret, only known by smart few farmers. This training will open your eyes to the part where the real money lies. How to do fish farming cost analyses and market survey. (You must do this even before you buy a fingernail). We’ll teach you how to go about this in this training. Do you know there are competitors in the fishery business? Then, how do you plan to win them? We’ll teach you the tactics to win competition in this training. 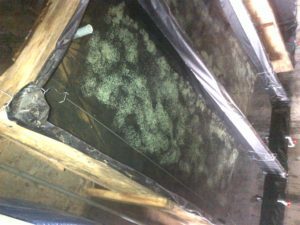 How to get good fingernails and juveniles for your fish farm. If you buy bad fingernails/juveniles to start your fishery, your fish business has failed, even before you start it. And so many other things you will learn through our one-on-one fish farming training, video or reading training. We are having different fish farming training programs at different rate, so read the following training fees carefully. The fee for our “do-it-for-me” and consultancy program is between #100 – 500,000, depending on how big your intending project is and how much you want us to work with you. We can work with you just to set-up your fish business and we can work with you for a whole one year, depending on your choice. Our professional team members could help you to set-up your fish farming business and leave or remain in contact with you for a whole year, depending on what you want. 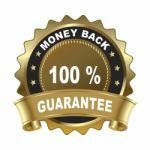 We’ll work on a report that will show you your expected profit in the next six months, one year, etc and send it to your email. 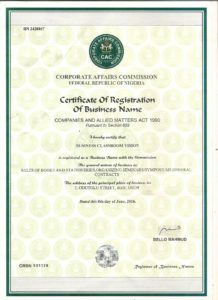 In fact, we can help you to register your fish farming business with the corporate affairs commission. I mean, we’ll stay by you to guard you, and use our experienced fish farmers to work with you, as consultant, for a whole one year or less just for a token between #100 – 500,000, depending on how much you need us to hold your hand. Our team could work with you just to set-up or stay with you for one whole year, depending on your choice. We believe that after one year of working with you, you must have been able to go alone (without us). Only FEW people can be allowed for our “do-it-for-me” program because we can’t handle working with too many fish farms at a time. Our team can only manage about 10 farms for now and we don’t want to reduce the quality of our service. Our second training program is what we call “train-me-how-to-do-it”. This training last 5 days. This training is “all-in-one” train-me-how-to-do-it because it covers EVERY aspect of fish farming business; Hatching fingernails, Growing fishes from fingernails to table size and making your own fish feeds yourself. 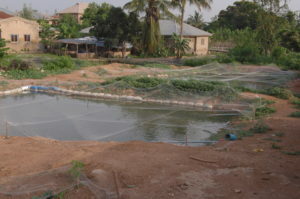 The fee of our “train-me-how-to-do-it”, one-on-one, intensive, practical fish farming training that trains you how to raise fishes from fingernails/juvenile to table size on our associates` fish farm is #50,000 only. If you register for this training package now, we’ll give you our special over 60% discount. Please note that this training fee could be increased or reviewed any time. If you’re not able to make it to our associate’s fish farm for “train-me-how-to-do-it”, practical training, you can order for the training video. However, if you order for the fish farming practical training video now, you will get it at over 50% discount. The reading fish farming training is like a book. It will be sent to you as PDF format, through your Email address or (if you don’t have an Email) as a text message. You can receive this book on your phone (as a text message, if you don’t have E-mail) and then click the link in the text, to download it. It’s very simple to do. 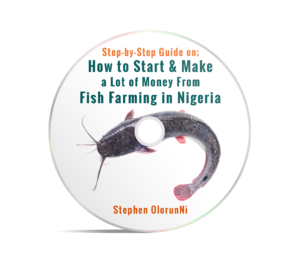 You can watch or download the fish farming video, NOW, immediately by getting it from the above “Buy Now” button. Or by direct bank payment. If you try the above number and you get “User Busy” or “Not Reachable” it may be because other people are trying to call us the same time you’re trying or because the network is not very good. Simply send a text and we’ll get back to you. 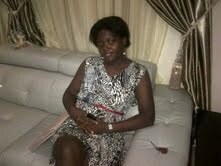 Also note that I should be the one to answer your call but if I am very busy, my P.A may be the one you’ll speak with. 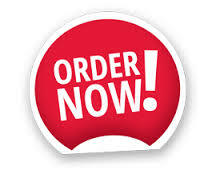 If you don`t have E-mail address, send us your phone number and we`ll send your download link there IMMEDIATELY. however if it`s more than that it may be because we receive many calls/texts and are very busy. If you call the above line and it tells you “user busy” or line busy or not reachable, it may be because there are other people or things we`re attending to. Kindly send us a text and we’ll get back to you. You can call us any time of the day (7am-10pm) and any day of the week. You can text us any time of the day or night. Your text will be replied as soon as we`re less-busy. Please note, if you call us and we`re not able to answer, believe me it`s NOT pride. We could be very busy. Simply send us a text. We reply every (reasonable) text messages. But we don`t want to stay at that. We want to assure you that you have nothing to worry about concerning any of the above programs, either our “do-it-for-me” fish farming consultancy program or our “train-me-how-to-do-it” or our book, video training. Our Mission is to Train You How to Become A Successful Business Owner!